We will be sending the information below in an email to all clients, customers and suppliers over the next few days. For futher information, please contact info@pwluk.com. 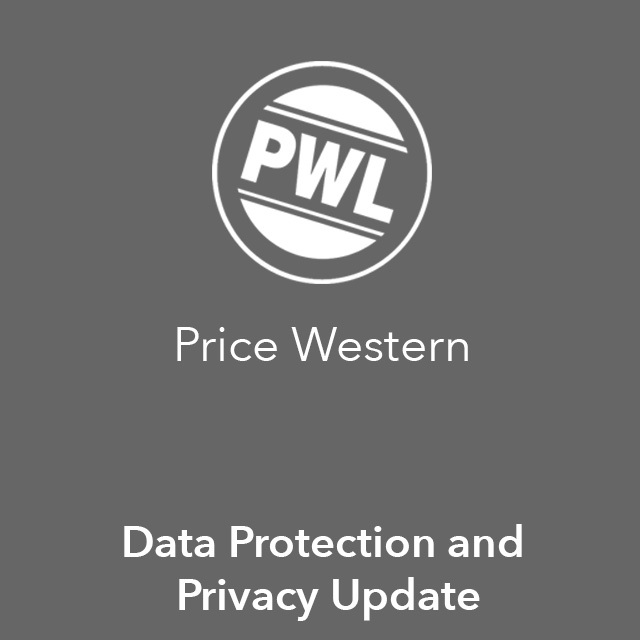 In light of the new law coming into force on May 25th, 2018, we at Price Western are contacting all European customers (past and present) as well as those individuals and organisations who have made a direct enquiry regarding our products. – We will never use your contact details for any kind of marketing communication. – We will only use your contact information in relation to any ongoing business activity you have with Price Western. – We will never sell or share your information to any other organisation or individual. You have a right to know what information we hold about you and/or your organisation. If you would like details in this regard, please conatct info@pwluk.com. If you would like to stay in touch with our latest developments, you will need to subscribe to our new marketing communications list. We will shortly be sending out an email giving you the opportunity of joining this list. If you do not wish to sign-up, then you do not need to take any action; you can ignore this ‘sign-up’ email. Price Western Leather Company Ltd.